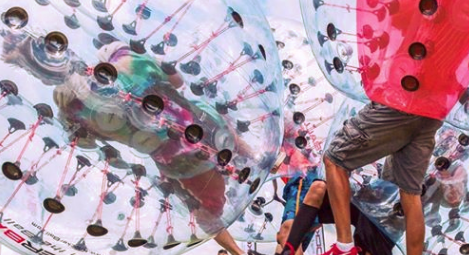 ​Knockerball® is a single chamber inflatable bubble with inner handles and adjustable shoulder straps. Knockerballs® range from 1.2 Meters to 1.5 Meters and the size or fit is predicated on your height. Knockerballs® can be used singularly to perfect your rolls, flips, and wheels. “KnockerBallers” describe the sensation as almost defying gravity, just imagine the sensation and mobility that a Knockerball® allows you to experience without putting any stress on the body. ​New this year, OACC will be hosting a bowling tournament at Legends Lanes in Omro. Stay tuned for more information! ​OACC’s first annual golf outing was held at the Wedgewood Supper Club and Golf Course in June 2018. This event was sponsored by Thrivent Financial and included golf, lunch, 50/50 raffle, bucket raffle, and lots of fun hole events. ​OACC’s Rhubarb Fest is one of our oldest and most loved fundraisers. 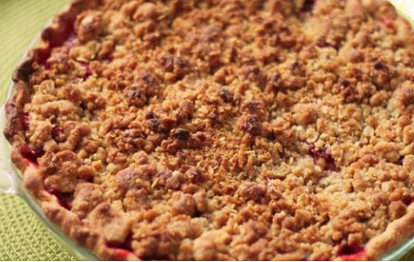 The center collects rhubarb donations from the community in the weeks before the event and then bakes the donations into pies. Last year the community center baked and sold over 200 pies with the help of our amazing volunteers and Red’s Piggly Wiggly.